Brisbane’s nightclub scene is small, but sweet. It may not have as many clubbing options as many other Aussie cities but what we do have are a handful of totally unique music venues that are all worth a visit if dancing is your jam. Be sure to fill up on some good food before you head out for a night on the cocktails. Oh Hello is somewhat new to Brisbane’s nightclub scene but has made a name for itself by attracting some of the biggest local and international DJs. And did we mention the free fairy floss? That’s one reason alone to make a visit. One of Brisbane’s most well known and largest clubs, The Met has five impressive bars spread over three levels in the heart of Fortitude Valley. You’ll find this club hosting many well known DJs. 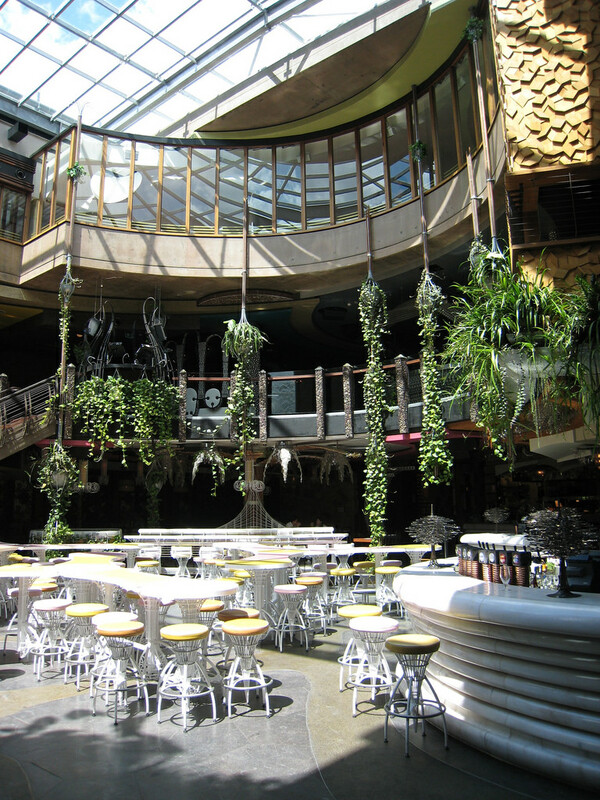 Cloudland is by far the most jaw-dropping of nightclubs in Brisbane. Its iconic vertical gardens, grand chandeliers and indoor waterfall are just the beginning. Cloudland do killer cocktails and some pretty divine pan-Asian food too, so leave some room to eat while you drink. If you’re after a touch of New York, The Bowery is your place. Think exposed brick and cosy booths. It’s known for mixing it up a little music-wise, and on weekends it has live Jazz as well as DJs to get your groove on. Birdees has been a long-standing casual Brisbane club venue that draws a boisterous crowd of backpackers and students. Birdees holds three bars, a Tiki style rooftop and a pool for those wanting a summery Brisbane vibe. If you’re keen to stay out of the city or Fortitude Valley, then head to Rumpus in Brisbane’s West End. It’s a relaxed cocktail bar, but is a great place to head if you want a dance without the pressure of a night club.